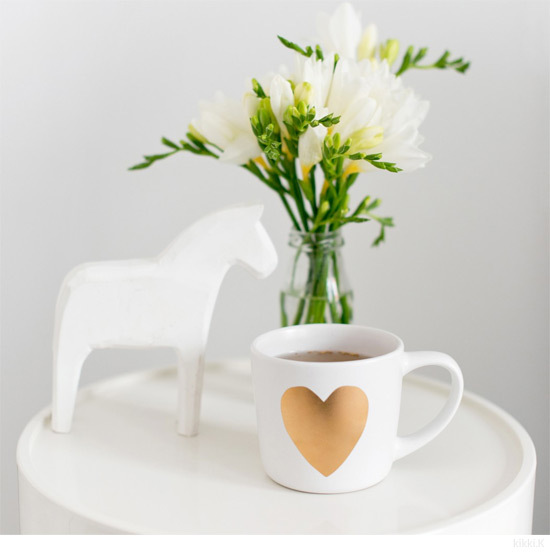 Not just for Valentine's Day, this gold heart mug would be my every-day mug. I love it to bits. Dishwasher-safe, gold metallic graphic on fine porcelain. Pick one up quick from kikki.K before they all disappear.